We are very excited to present to you the first of our AR talks – a series of interviews with the best and most noticable AR Studio and Lens Studio Creators! 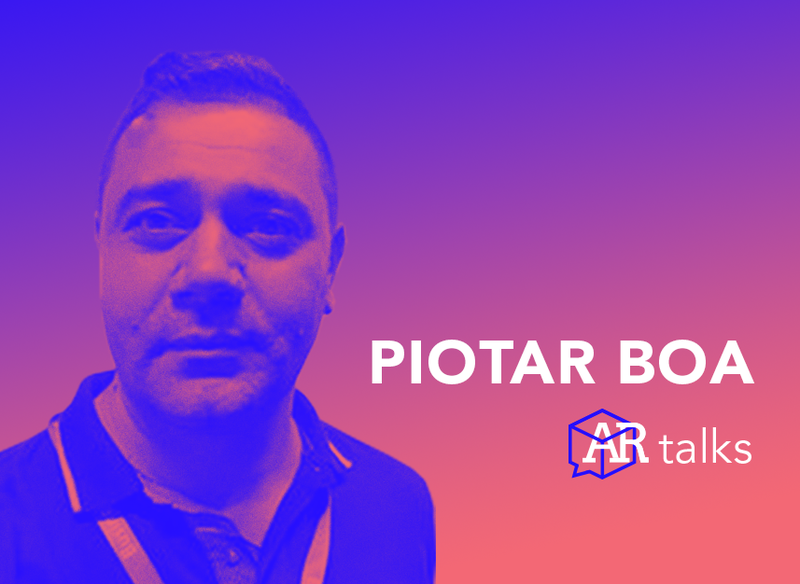 Even more thrilling is the fact that the first of our Guests is Piotar Boa – one of the most dedicated AR protagonists, inventive AR Studio Creator, and overwhelmingly kind person. Hello Piotar! First, I would like to ask you how did you start your adventure with AR? Was Facebook’s AR Studio your first experience with it? Since 1996 I have been a big fan of new technologies, social media and web marketing. I head a digital marketing agency in Italy called “Piotar Boa”. AR Studio wasn’t my first experience. I played just a little with other platforms like: Metaverse (Cometa), Blippar, Unity, Roar, Vuforia etc. – just to figure out how to use this new technology for marketing and for other purposes. In the early months of 2017 Facebook was looking for people interested in developing his AR platform so I filled in the form online and sent it. To tell the truth I did it out of curiosity and I said to myself: “No one in Facebook will ever read your email, you’re just a small drop in the ocean, nobody will ever notice you”. How did you come up with your nickname Piotar Boa? Is PiotAR a reference to an augmented reality? Piotar Boa is a nickname I created many years ago on a social network called “Second Life” and then I used it for a project to help more than 100 talented people on Periscope in 2015. Since then people continue to call me Piotar Boa and to tell the truth I like this… “Piotar” is a russian name, in honor of “Peter the Great”, the tsar who built Saint Petersburg from scratch. I lived in this wonderful city for a month in 1995. I was a student at the university learning russian language.“Boa”… I only remember that I was looking for a short surname on Google that matched the Piotar name. I liked the combination and that’s all. It is curious that it contains “AR”, perhaps a sign of destiny… who knows. How did you come up with the idea of AR Marketplace Group? Has it led to any successful cooperations yet? Yes, there have already been two requests from companies looking for a good AR creator. Considering that the group was born about a month and a half ago it is a good result. I’d like it to become an exclusive, quality group. A safe place where good and big companies, marketing managers, communication agencies can find only the best AR Studio Creators or Agencies. All of my favorite AR Studio creators are inside the group and this makes me very happy: it means that they believe in the project. There are also Facebook people and managers there and this is awesome. I’d like it to be a point of reference for the world of augmented reality on Facebook and Instagram. For this reason I cap the group at 250 members. Not so long ago you’ve created a survey on AR Studio Creator Community about the most anticipated new functionalities in AR Studio. What are the things that you expect most? 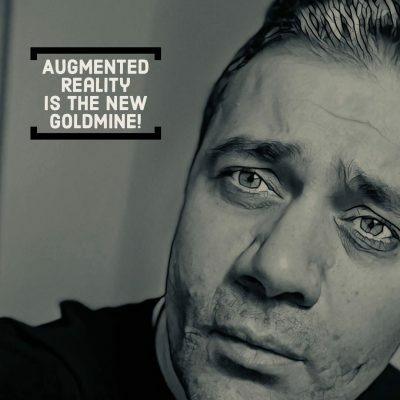 The functions that I would like most are those in which people can interact with content: body tracking, fingers tracking, links to an external site, multi targets, but also templates for AR games to be played in real time between two or more people. We know that you are a very open person who loves to share his knowledge. 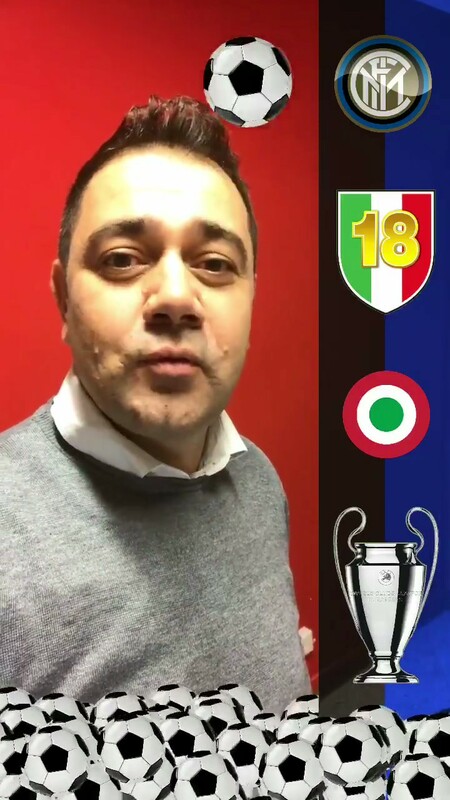 Are Facebook Camera Effects popular in Italy? Do you manage to popularize them there? Please tell us something about the effects created by you. Do you have any favourite ones? Manychat – dedicated to the best platform to create chatbot on Messenger. I was really flattered when the founder Mikael Yang mentioned me and tried the effect in the Manychat’s 55.000 members group. 80 effects – that’s a lot! In your experience, what are the most important features of a good AR effect? When can we say that a particular effect is good or great? What is the difference between good and bad effect? – it must put the user at the center of the experience and not the brand. You recently attended the first AR Studio Hackathon on Facebook in London. What can you tell us about that experience? I have no words to describe what I felt during those two days in London. I remember that I cried with joy when I arrived at the front of the Facebook office. One of my great dreams came true. I remember the faces, the emotions of all the creators and developers coming from all parts of the world. During the whole event Facebook managers, product managers, engineers and all of the staff treated us like stars. It is a memory that I will always carry in my heart. Thank you for your time, Piotar! Good luck with bringing us another great FB Camera Effects!